Bosses pay themselves £350 an hour, but can't 'afford' £11.50 for the workers. On 4 February, Camden Parking Control staff entered a further two weeks of strike action. It follows three weeks of strike action in 2018 against the private firm, NSL, who run the contract. NSL refused at one stage to even honour the lower London Living Wage (£10.55) until the union forced Camden Council to intervene to ensure this is the minimum paid on all outsourced contracts. 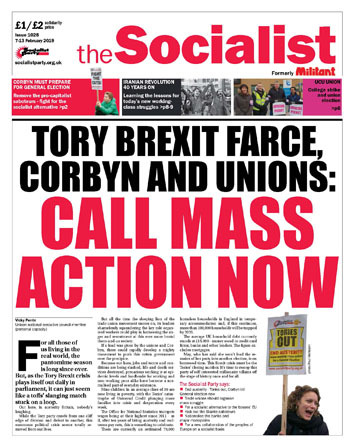 The Labour council has refused to take action against the firm for breaching its targets during the strike days and incredibly still hands over money for not running the service! Public sector union Unison members are furious and are demanding that this lucrative contract is brought back in-house. It's bitterly cold outside but that's no different to a normal working day for Wandsworth parking enforcement officers in GMB union taking the third and fourth days of strike action on 31 January and 1 February also against NSL. 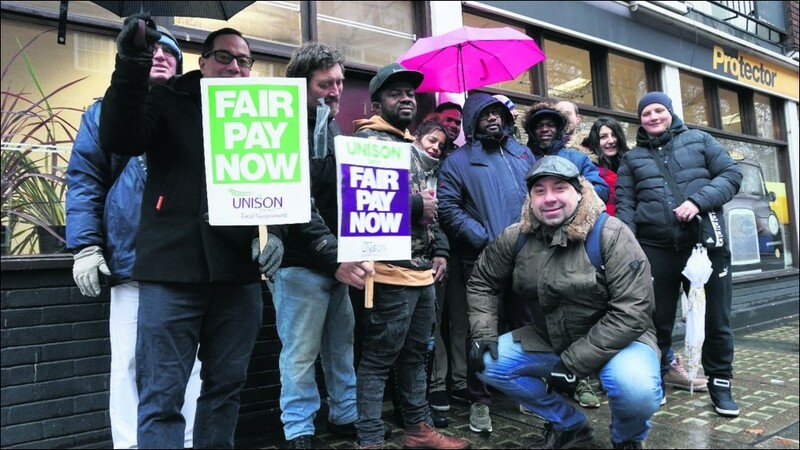 A workforce which has been passed from one contractor to another is striking with two main demands - a proper sick-pay scheme to replace payment at management's discretion, and to return to direct employment by Wandsworth Council.